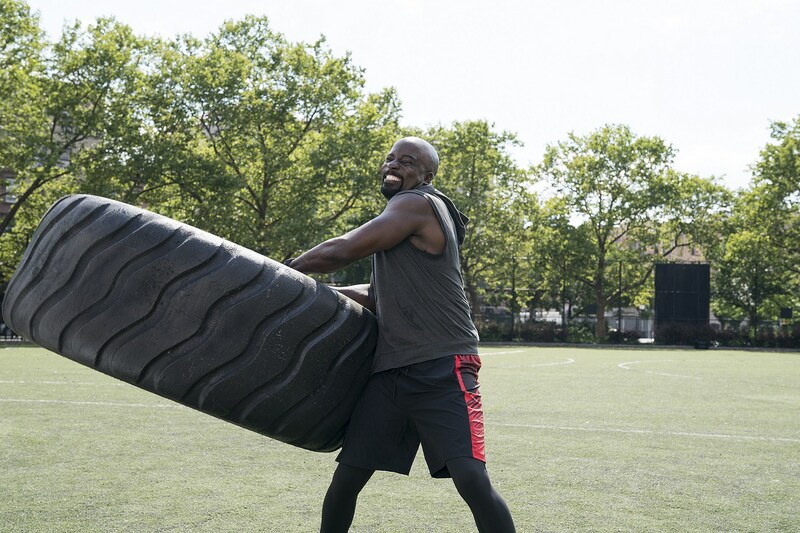 Netflix released a sports-themed clip from Season 2’s June 22 premiere, as the erstwhile Defender makes a public show of his athletic prowess with commentary from Jets coach Todd Bowles and sports personalities Jemele Hill and Michael Smith. 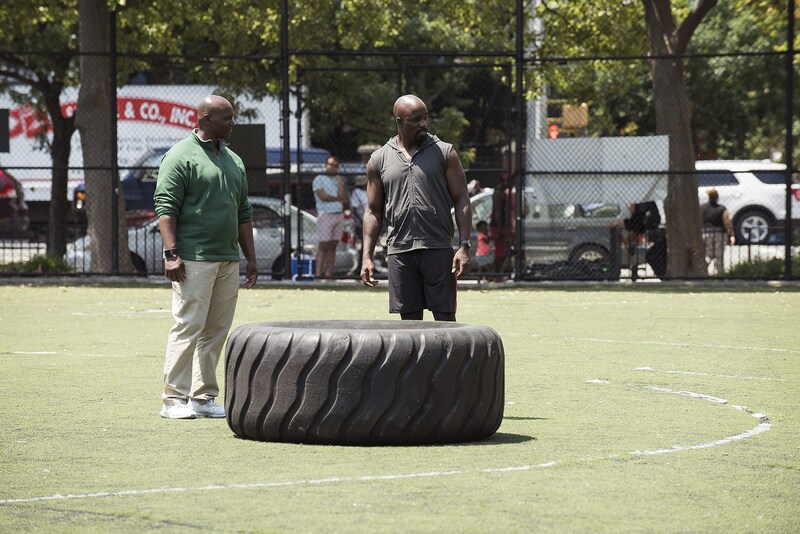 Don’t worry – Luke Cage isn’t joining the NFL just yet, but he does manage to toss a 400 lb. tire like a hula hoop, shatter the world’s long-jump record and even out-fox Usain Bolt’s speed record. We may need to defer to judges on that one, so check out new photos in the meantime. Elsewhere of Luke Cage Season 2, we know Mustafa Shakir will play Bushmaster alter-ego John McIver, while Gabrielle Dennis will take the role of Tilda Johnson (Nightshade in the books). Simone Missick will be back as Misty Knight, along with Rosario Dawson as Claire Temple, Alfre Woodard as Mariah Dillard and Theo Rossi as Shades. Finn Jones will reprise his role as Marvel’s Iron Fist, while Lucy Liu will take up directorial duties, and Reg E. Cathey will deliver his final performance. 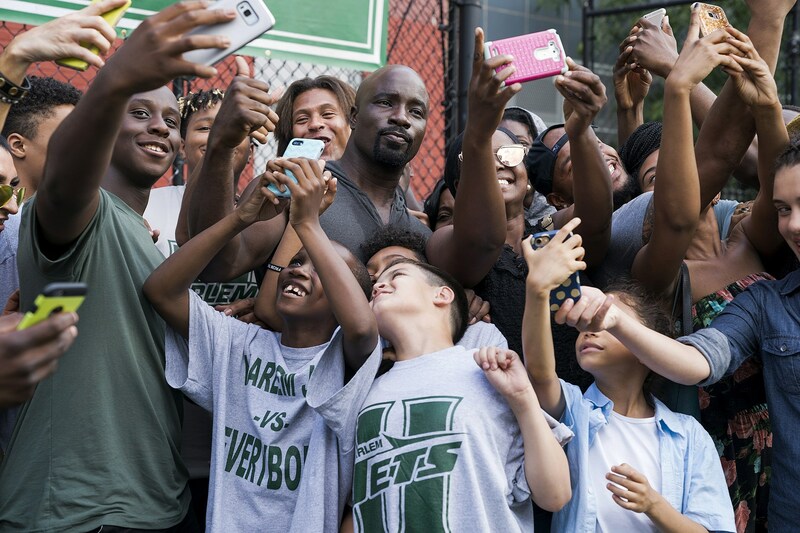 Luke Cage will have more to show in the next month, so stay tuned.